The CONFAST® installation kits for Tapcon® and CONFAST® masonry screws are industrial grade. They are stocked for immediate, complete shipment the same day that the order is received. 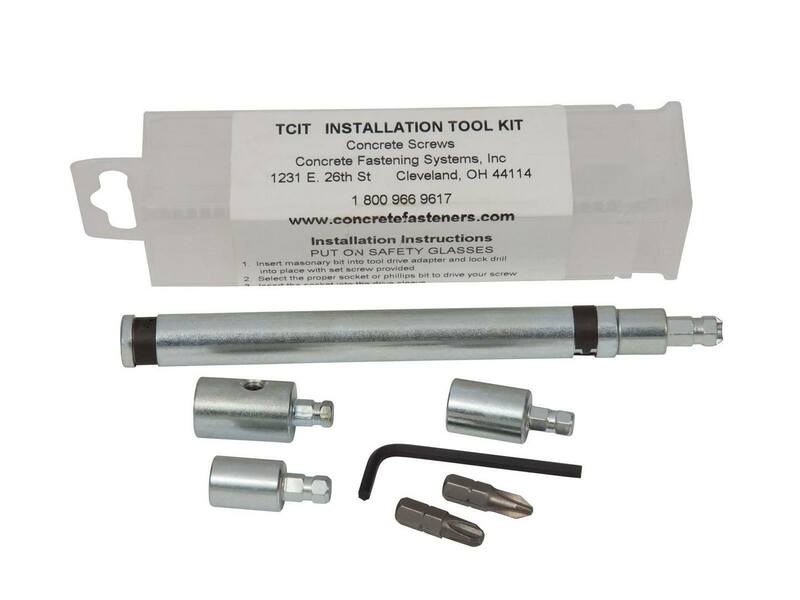 Unlike the retail installation kits, these CONFAST® brand installation kits for Tapcon® concrete screws offer superior quality because they are all steel. The anchor is made from . This anchor is designed for use in . The diameter of the anchor is na.